There are days when I feel like a sleep-addict. I’m not kidding: the second I leave my bed I regret this decision. Does this sound familiar? I hope it does. Tell me I’m not the only one. But the heavenly moment of sweet sleep can be ruined by one small but nasty detail – an uncomfortable pillow. That’s why I decided to do a little research. 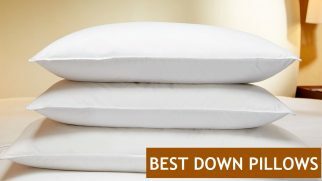 Today, I’ve prepared 7 best memory foam pillows, which can change your sleeping experience for good. This pillow by Nest Bedding has everything you need to sleep like a baby: it is supportive, soft, cradling, and adjustable. Not only can you adjust this pillow the way you want. It can adjust to you, too. It conforms to your head and neck, helping them align with your body properly. As a result, your muscles relax during the night and you wake up feeling well rested and with no neck pain. This pillow is among the top rated memory foam pillows for a reason. It made me sleep like a baby. This pillow feels like a cloud, which can support your neck and keep the head in a neutral position. What else is there to wish for? The filling is a combination of the CertiPUR-US certified shredded memory foam and the blend of synthetic fibers. The cover is made of the Tencel blended fabric, which is soft and pleasant to the touch. The pillow is adjustable: you can unzip the cover and remove the amount of filling to your liking. It comes in three sizes (Standard, Queen, and Kind), so you’ll definitely find the comfiest option for yourself. The absolute best thing about this pillow is the combination of comfort and support it provides. To be honest, I feel like it will be suitable for all sleeping positions. It is firm enough to keep the head and the neck in a neutral position and the bits of shredded foam provide the comfy cradling effect. It gets better: you can customize the pillow’s thickness to your liking by simply adding or removing the filling. The worst thing I’ve noticed about this model is the slight off-gassing. This issue is common for the memory foam but it might bother some sleepers. However, the odor disappeared in a couple of hours, while the pillow was in a well-ventilated room. This model by Live and Sleep is reasonably priced and very comfortable, which, in my opinion, is a win-win combination. Although Live and Sleep was designed to provide great support and comfort to all types of sleepers, I feel like users sleeping on their side will make the best of it. With a 5.5-inch thickness and medium firmness (7 out of 10), this pillow suits the sleeping needs of side sleepers perfectly. 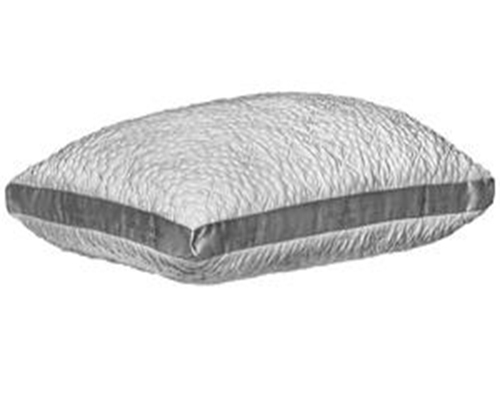 The filling of this pillow is the solid visco-elastic gel memory foam, which is CertiPUR-US certified and safe to use. The knit cover is soft, breathable, and washable. 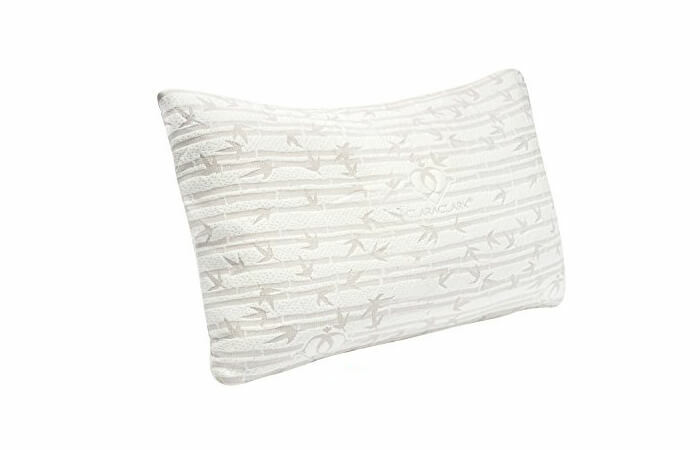 The pillow features the open-cell technology, which allows the free airflow. It has a medium firm feel. The manufacturer offers a 5-year warranty and a 30-day sleep trial. The best thing about this pillow is the combination of value and quality. While being among the relatively cheaper models, the Live and Sleep pillow is supportive and comfy. It easily adjusts to your head and neck, cradles them, and helps the muscles relax completely. The worst thing about this model is its firmness. It does offer great support but might not be suitable for all sleeping positions. Being a solid piece of foam, it is a great option for side sleepers, while back and stomach sleepers might find it too firm or too thick. To be honest, I think this pillow is worth trying out. It is able to provide enough support for your head and neck, especially if you’re a side sleeper.
. This pillow by Coop Home Goods can satisfy almost anyone, in my opinion, as it’s soft and very comfy. But stomach sleepers will likely benefit from sleeping on Eden more than other users. The thing is this top-rated memory foam pillow is really soft. I mean, not absurdly soft, but softer than medium (approximately 5 out of 10). Thus, if you remove the filling partially to make the pillow thinner, you can sleep on your stomach and feel great. This model deserves the right to be on the list of the top-rated memory foam pillows. It is comfortable, cradling, and soft as a cloud, which is a perfect option for people who want their pillow to feel plush. The filling is made of gel-infused shredded memory foam and microfiber. The cover is made of bamboo and features a cross-cut design. You can adjust the pillow’s thickness by simply removing the filling. The manufacturer offers a 5-year warranty and a 100-night sleep trial. The best thing about this pillow is how breathable it is. You all know that memory foam can make you sleep hot, right? Well, with the Eden model, that’s not the case. When sleeping on it, I even felt a subtle cooling effect. I guess it’s because of the gel that’s infused in the filling and the cross-cut shredding style of the foam. The worst thing about this model is its softness. For people who prefer sleeping on a cloud, it’s not an issue. However, if you’re one of those sleepers who appreciate solid support, you might find this model to be too thin or too plush. Ready to order? Don’t hesitate and click here! This Brooklyn Bedding pillow can make you feel exceptionally comfortable during the night, given the fact you can adjust it to your liking. Unlike most memory foam pillows, this one doesn’t sleep hot. The thing is it’s not made exclusively from foam. Instead, it gives you the best of both worlds – foam and latex. The latter is known to be a naturally breathable material that doesn’t retain heat. Besides, the pillow features a cooling gel infusion, which adds to the cooling effect. “Latex naturally has an open-cell structure, which promotes far better airflow than memory foam and most other materials used for pillows can provide. 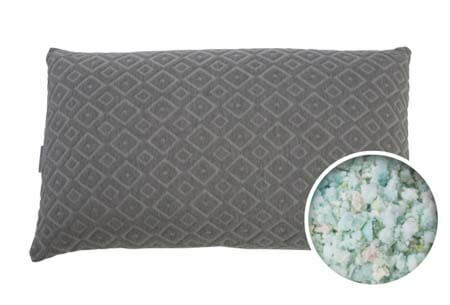 This pillow’s filling is a blend of shredded foam and latex, which makes the pillow supportive, cradling, bouncy, and breathable – all at the same time. The zippered charcoal bamboo cover makes it possible for every user to adjust the height of the pillow to personal preferences. Three sizes are available (Standard, Queen, and King). The pillow is covered by a 3-year warranty and can be returned within a 120-night trial period. The coolest thing about this pillow is its flexibility. You can remove or add the filling to make the pillow comfortable for you personally. It’s also extremely moldable, which means you can fluff it and reshape in order to find the sweet spot to place your head. The most annoying thing about this model is its off-gassing. Even though the pillow is not 100% foam, it still has that strong chemical odor typical of memory foam products. It’s supposed to air out within a day (that was my case), but some users complain it takes much longer. To tell the truth, I really enjoy sleeping on this pillow. Although it took me several nights to find the perfect thickness, it was worth it, as now I sleep cool every night. Feel like this pillow is your key to comfortable sleep? Click here to order! 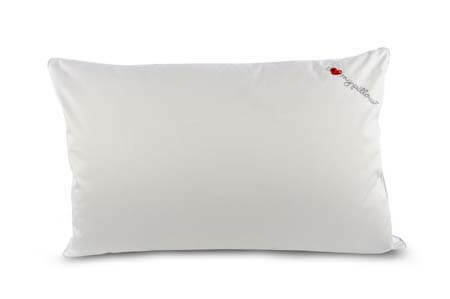 This luxury model by I Love My Pillow has caught my attention with a few things – its contouring capabilities, support, and luxury feel. And the brand’s name stands for itself – you will definitely love this pillow. Actually, you’re going to love it even more if you’re a back sleeper. The memory foam core is 5 inches thick and scores about 6 out of 10 points on the firmness scale. It’s a perfect combination to provide enough support and cradling for people sleeping on their back. The filling features a dual-sided design. The side filled with down is contoured and feels softer. It cradles your head and hugs you. The memory foam side features a higher loft and feels firmer, giving you more support. The Tencel cover is moisture-wicking and nice to the touch. You can unzip it and wash, but the memory foam filling can only be spot cleaned. The company offers a 3-year warranty and a 100-day trial. The best thing about this pillow is its construction. Being on the pricier side, it not only looks but also feels luxurious. The reason for that is the down feathers incorporated inside the memory foam base. The cover features a layer of down too. Such a construction allows for a perfect combination of support and softness, as well as great air circulation (compared to foam-only models). The worst thing about this model is its thickness. While back sleepers will benefit from using this pillow the most, side sleepers can also feel very comfortable with it. But for people sleeping on their stomach, however, the 5-inch thickness is probably too much. This pillow is a luxury and high-quality model. If you’re a back sleeper, you’ll surely love sleeping on it. But if you sleep in other positions, I recommend that you still give this pillow a try. After all, with the company’s trial conditions, you can always return it. Ready to check if this pillow is for you? Order here! Another contestant for the right to be on the list of the best memory foam pillows is this model by Clara Clark. It is soft, breathable, and simply comfortable. You can get it all for less than $20, which makes it one of the cheapest memory foam pillows on the market. Even more so, if you buy a pack of six pillows, you will get almost $20 off your purchase. So, it’s a great choice for people who sleep with more than one pillow, as well as for those who want to upgrade the bed of every family member. The cover is made of the combination of bamboo and microfiber. It is breathable and pleasant to the touch. The filling is the shredded memory foam. It is hypoallergenic, dust mite resistant, and easy to adjust. The company offers a 100% satisfaction guarantee program. There is a zipper on the cover. It will allow you to customize the pillow to your preferences. The company offers different sizes and package deals. This provides you with more chances to find the perfect option for yourself. The best thing about this pillow is how bouncy and squishy it is. It manages to maintain its shape during the night and doesn’t turn into a flat pancake when the morning comes. The bounciness also means great support, which is a necessity every pillow must provide. The worst thing about this model is the off-gassing. Again, a common issue for memory foam products, but it made me a little bit worried as the odor took more than a day to disappear. Overall, my experience with this pillow was rather pleasing. My neck felt good, my head felt cradled, and I slept all through the night. This pillow is breathable, comfy, and easily adjusts to the shape of your head. It adjusts to your favorite sleeping position, too! 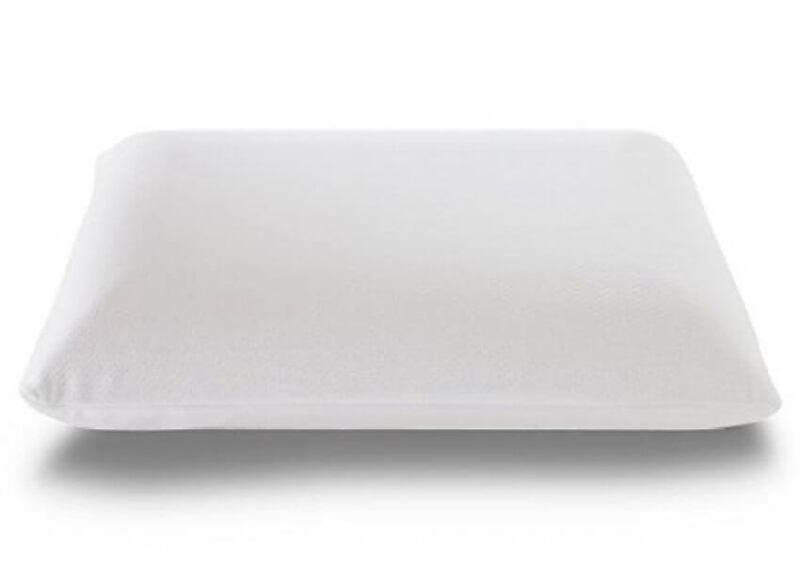 This pillow is made from pieces of shredded memory foam and comes with a zipper on the cover. This allows you to remove some filling or add some and eventually find the perfect thickness you need to sleep comfortably. Honestly, it’s one of the best shredded memory foam pillow models on the market. The filling is 100% shredded memory foam, which is moldable and contouring. The cover is made of the bamboo and polyester blend, which is soft and plush to the touch. It is completely machine washable and suitable for a dryer, which makes the cleaning process super easy. You can remove the filling to adjust the pillow’s height. The pillow is dust mite resistant and hypoallergenic, which makes it safe for sensitive people. The coolest thing about this pillow is the combination of great value and comfort. It is reasonably priced but doesn’t feel like a piece of cheap foam. It is comfortable, contouring, and helps with the muscle relaxation. The worst thing about this model is its firmness. I’m not saying that it completely ruins the pillow’s performance. Still, I realize that it might be an issue for some sleepers. Keep in mind, though, that it can be fixed by removing or shuffling the filling. To be honest, this pillow doesn’t have all those fancy bells and whistles, but this fact doesn’t make it less comfortable. 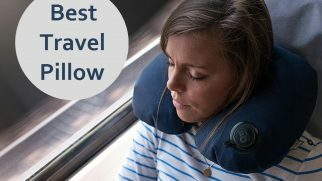 It is perfect for side sleepers, and I’m sure you’re going to enjoy it as much as I did. Shape. Different types of pillows cater to different sleeping needs. E.g. cervical and contouring pillows are designed for people suffering from neck and back pain, while V-shaped pillows are a great option for people who need to hug something in their sleep. Size. Usually, the size of a pillow is determined by the size of your bed. However, people with smaller beds might appreciate a larger pillow if they tend to toss and turn at night. We mostly select models that come in different sizes. Overall comfort. Firmness and thickness are two main factors we consider to evaluate the comfort levels of a pillow when used in different sleeping positions. Whenever it’s possible, we make suggestions as to what sleeping position this or that pillow will be most comfortable for. Construction. The way a pillow is built is directly connected to the way it feels. We take into account whether it’s a one-piece or shredded memory foam pillow, whether it features a dual-sided design or has equal sides, whether it’s 100% foam or a mix of foam and other materials. Cover. Some covers are breathable and hypoallergenic, while others are hot. Some are removable and machine washable, and some are not. The material that the cover is made from defines how it’s able to wick the moisture, keep you cool, promote a clean sleeping environment, etc. Durability. We always consider the quality of the inner filling, the seams on the cover, lining (if any), etc. Long-term reviews are factored in too, as they show how other users are satisfied with a product when they’ve been using it for a long time. 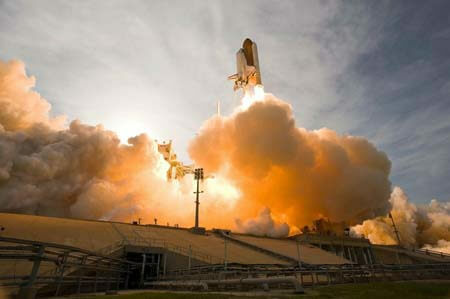 Did you know that the invention of foam is closely connected to NASA and space? Although there are some recorded uses of a similar foam material before 1966, the first formula of the memory foam we know today appeared as a result of NASA’s attempts to make space travel safer and more comfortable for astronauts. From that time on, the initial formula has been undergoing different modifications, as every manufacturer who used this material in their products wanted to improve it. You might think that the regular rectangular pillows are the most popular options. But these days, people choose to experiment and try different styles and shapes. Among those are the contouring pillows. They are crafted specifically to cradle the head and to create a wave under your neck for the proper support. Wedge pillows look quite unusual but are also a popular choice for numerous people. They look like a big triangle, which is made from a solid piece of memory foam. Such pillows are designed for multiple sleeping positions, plus you can lean on them when sitting and, let’s say, reading in bed. Memory foam is hypoallergenic, which means it is suitable for sensitive and allergy-prone people. This material is perfect for side sleepers as it is sturdy, supportive, and firm enough to keep the head and the neck properly positioned. Memory foam pillows manage to effectively keep their shape, which means they will stay fluffy for longer periods of time. This material is dust mite resistant, so your pillow will remain safe for you to sleep on. 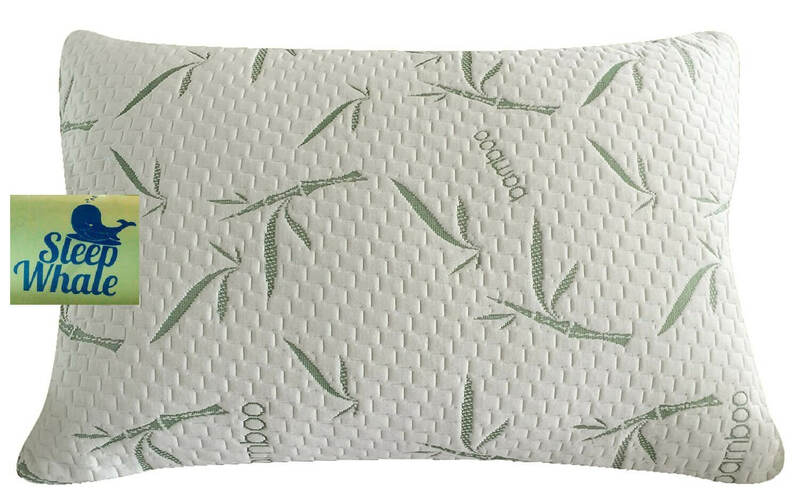 This type of pillows is great for pressure relief and the neck pain reduction, because they provide enough support and that cradling effect that helps sleepers relax their muscles. Heat retention. Foam is a dense material, which doesn’t allow too much airflow. Therefore, some foam pillows can make you sleep hot. However, going with the shredded foam can eliminate this issue, as the small bits of the material allow the free airflow and help with the temperature regulation. Price. Some models are reasonably priced, but there are many items that cost more than $100. Some manufacturers offer numerous extra features, others go for the material quality and comfort. Whatever the case is, keep the price factor in mind when searching for the best pillow. Odor. This is a common issue for the majority of memory foam products. You might feel a slight (or strong) off-gassing when you open the package with your pillow in it. Don’t let it ruin your mood, as the off-gassing (when it’s moderate) can be simply aired out. Just give it some time. When the accidental spills happen, soak up the excess liquid using paper towels. This will help prevent the staining, but only if you do it quickly. To clean minor stains or spills, blot the dirty area with a damp cloth. If needed, use some mild soap to spot clean the pillow. If you want to get rid of the unpleasant odors, you can sprinkle the pillow with baking soda, leave it for some time, and then brush the remaining baking soda off. Trying to pick the perfect pillow isn’t an easy task. We are all different and have our own preferences, and the manufacturers are doing their best to satisfy our needs. But the number of choices can be really overwhelming. That’s why I decided to find 7 coolest memory foam pillows that can help you sleep like a baby. And the most comfortable among them, in my opinion, is The Easy Breather Pillow by Nest Bedding. It is comfortably firm, supportive, and cradling. The pillow comes in three different sizes and features a zipper on the cover, which provides numerous adjustability options. 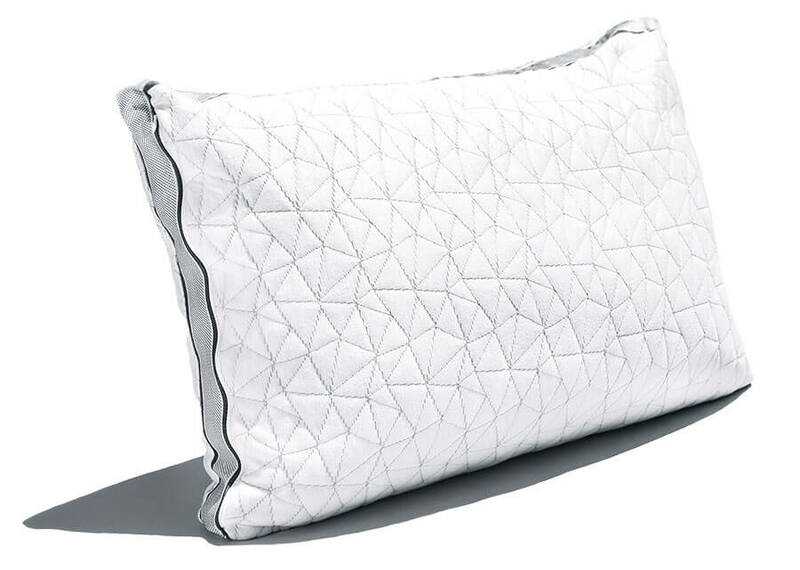 And yes, this model belongs to the pricier category, but let me just tell you: the second you place your head on this pillow, you’ll realize that it’s worth every penny.